Before this jacket arrived in the post, I’ll be honest – I didn’t even know that Adidas had an outdoor specific range of clothing. I really did not know what on earth to expect from it, but felt quite excited to find out. Without further a-do let me introduce you to the Adidas Agravic. It’s a pricey piece of kit – £279.95. Curiosity got the better of me and I wanted to know whether Adidas’ outdoor gear was really up to the test – and whether I could recommend anyone spending that money on a coat. It’s filled with ’Titanium premium down’, which according to the label is sourced from the most responsible supply chains, 100% traceable and sustainably processed, has an excellent warmth to weight ratio and is extremely durable. It has 800-fill power with goose down and has had a hydrophobic treatment, which means that it’s water resistant and should dry much quicker than untreated down if it does get very wet. Outer is made of 100% nylon ripstop – Ripstop is a fabric woven in a particular way to re-inforce the strength of the material. Extra threads are interwoven throughout the process to make a much stronger and rip-resistant product. This post is detailing my first impressions of the coat and I will do a follow up review on how it has performed in a few months. It’s not particularly fitted and so I feel like a little bit of a lump in it but then again down coats are not there for fashion purposes. I’m wearing a size 12 in the photos and I would normally say I am a size 10/12. It’s a little large but it means I can wear layers underneath. I certainly wouldn’t fit many extra clothes under a 10 and I want this coat to keep me toasty on a wild camp or freezing mountain-top. For my winter skills course in Glencoe with Trail Magazine I was sent a Berghaus Ramche jacket to use, which was a hefty £350. I remember feeling gobsmacked by the price but the more I used it, the more I came to understand that it really was a quality piece of kit. To the point where I thought, yes, I would save that amount of money to pay for this jacket. It has kept me warm on so many occasions that I feel I would have considered that money well spent. Although I have a handful of lighter-weight down/insulated jackets, I’ve been mourning the loss of my Berghaus Ramche to Tom. It made sense for him to have it because it is far too big on me and it really does fit him much better. 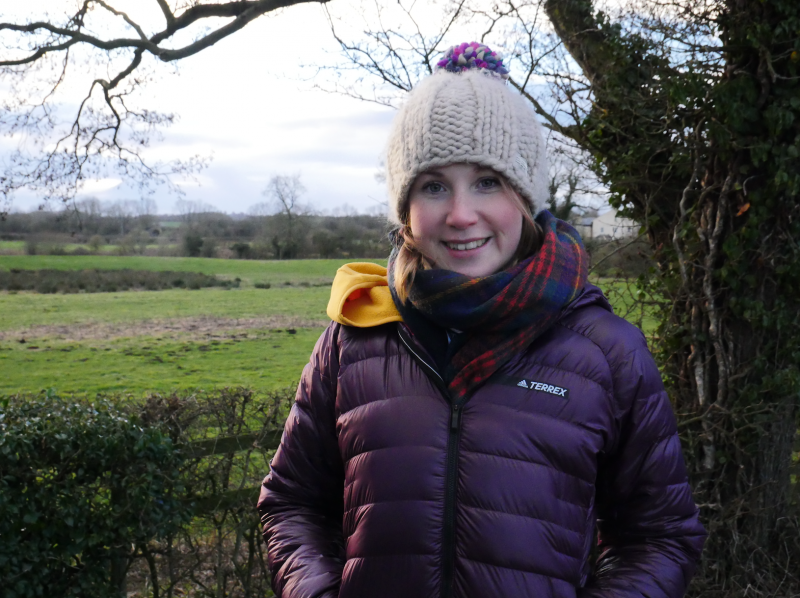 The bottom line is that none of my other jackets have felt so comforting and warming to wear – like I’m wrapped up all cosy in a duvet – so I’ve had half a mind to look into buying another for myself. Adidas would not have been my first choice because, well, I didn’t know they had an outdoor line. 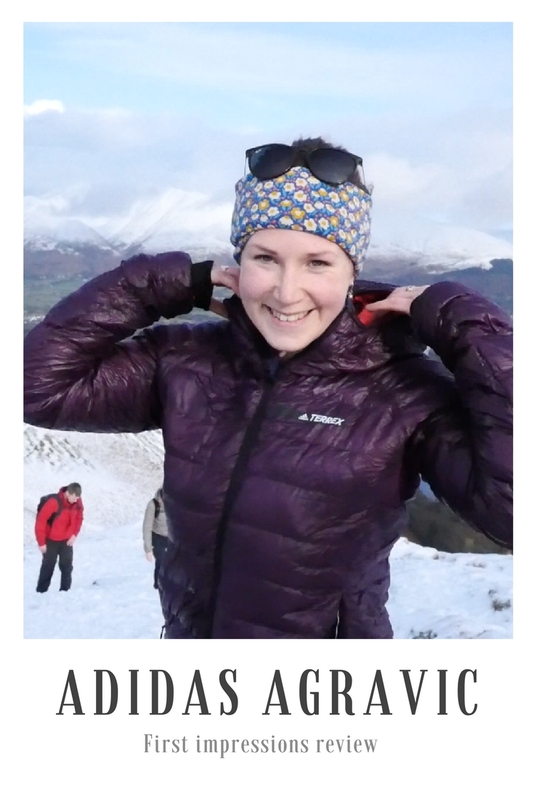 And even if I had found it in my research then I probably would have discounted it because outdoor apparel is not what they’re known for – sportswear is. However, this jacket looks like it will be a good replacement for my Ramche and so I’ll be keen to see whether I have the same opinion on this jacket as I did the Ramche – and whether I would be willing to pay that price. This will come in a longer-term review though to make sure that it’s had as good a testing as possible. 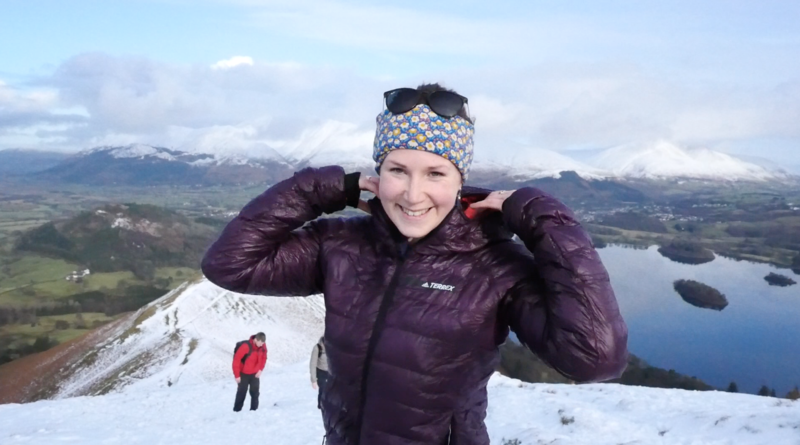 I’ve worn it on an almost daily basis while I’ve been out and about – however, I’m not getting to the mountains for a few weeks so it’s just been in the very chilly Yorkshire weather that this first impressions blog is based on. I’ve been genuinely surprised by how much this coat has grown on me. It really does feel like a lovely soft light duvet to wear. You can use wash it in the washing machine – and even tumble-dry it. Apparently. I think the polar fleece armpits are a nice addition for ventilation. 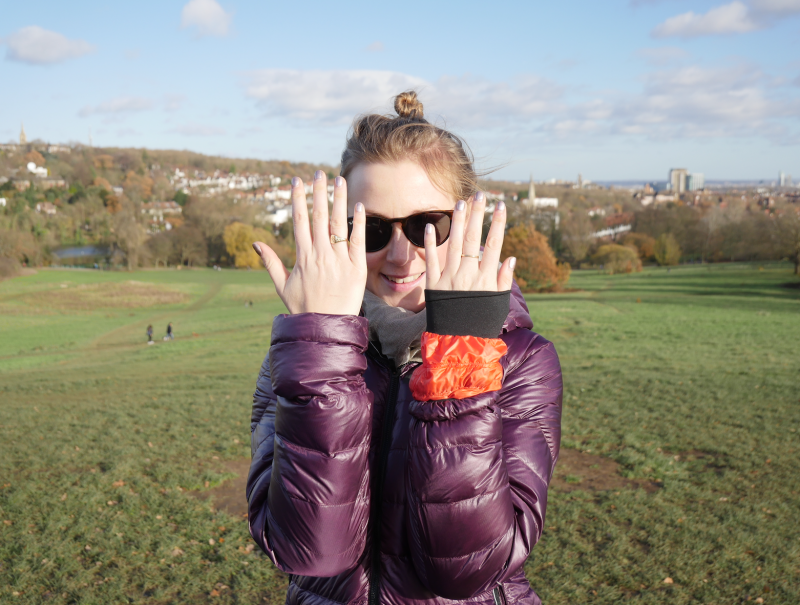 I’m crazily in love with the wrist cuffs – it’s a brilliant idea to keep cold and weather out. No more cold wrists while wearing gloves! There’s also an extra collar around the back of the neck, too. There’s a toggle in the back of the hood. 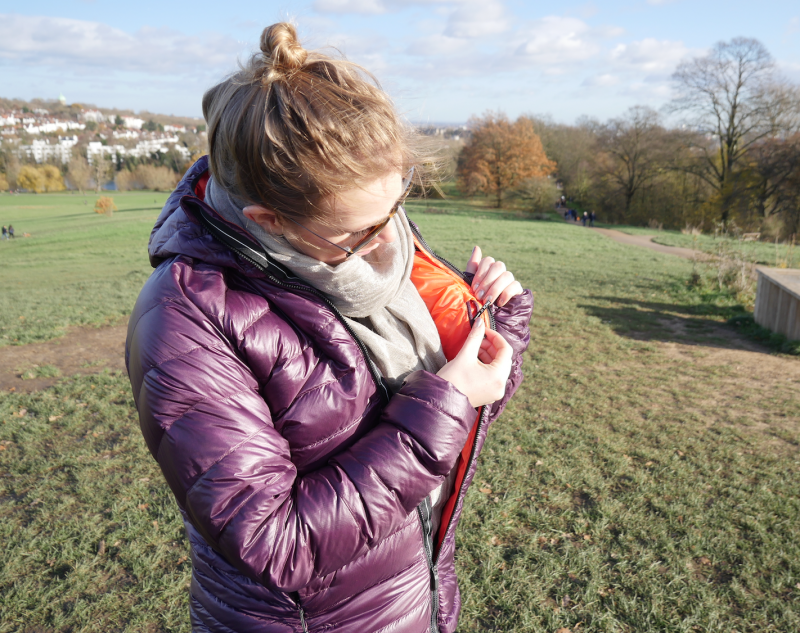 They’ve also fitted a firm zip lining behind the main zip and in the pockets so you don’t snag and possibly rip the coat itself while doing it up. We’ve all been there when we’ve got the fabric of the coat jammed in the zip. You can pack it in on itself into an inside pocket. If you liked this review please pin me! Hi Sally, I really love this jacket but there are warmer jackets out there so it really depends on what exactly you’re wanting it for. If you’re going to wild camp I’d opt for a heavier weight jacket but if it’s just walking you’ll get more use for your money getting something like a microlight jacket, then layering it up in the colder months. That said, this is nice to have when it is on the colder side for a walk but like I said, it does depend on what you’re going to be doing!